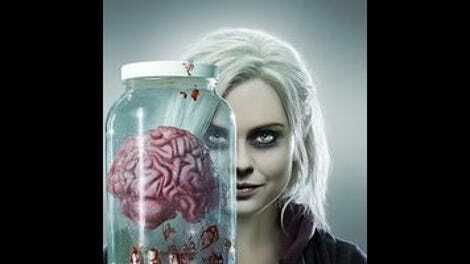 "Looking For Mr. Goodbrain, Part 2"
The one thing you can’t say about season three of iZombie is that it lacks ambition. Tackling a world of secret zombies was plenty to fuel the drama for the show’s first two seasons, but in season three it blew past local and went global as the zombie population of Seattle worked to prepare for the inevitable day they were revealed. That’s a big story for a small show to tell in only 13 episodes, and the season three finale reflects a lot of that strain. The most obvious place where season three’s overall arc fell down was in the plotting and pacing of the finale’s big villain reveal. All throughout the season, Fillmore Graves existed in an interesting place as both an ally to the cause and a potential antagonist to Liv and the gang. The idea of an ally you can’t quite trust is a great one, and the tension that unknowability caused brought a great dynamic to the beginning of the season. Where things started to get a little muddled was when Vivian was murdered (in what was admittedly grand fashion) and Chase Graves was brought in to take her place. 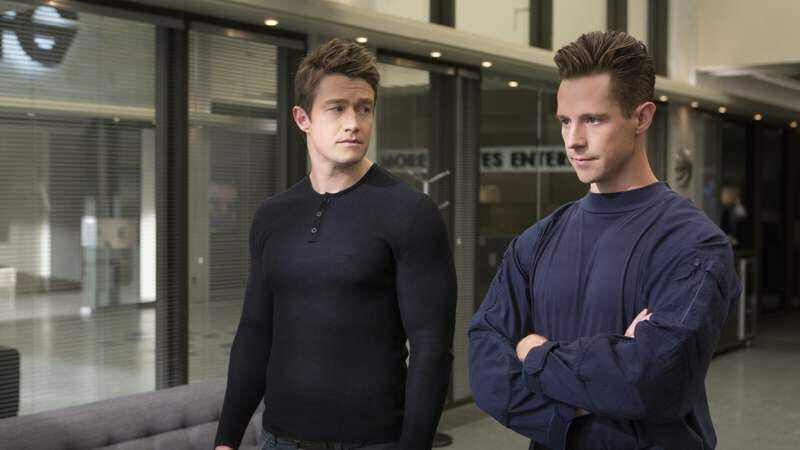 It was never quite clear exactly what we were supposed to make of Chase—which can be a good thing, as ambiguity is intriguing, and Jason Dohring is great at toeing that line between good and evil. The issue came in when the amount of time given to him was exponential in comparison to the people around him in an attempt to set him up as a grand red herring, thus completely pushing the person who was the actual bad guy to the background so much that the reveal seemed to come out of nowhere. Yes, Fillmore Graves employee Carey Gold—someone whose face is recognizable, but I wouldn’t have been able to name last week—is revealed to be the leader of an internal mutiny of zombies at Fillmore Graves who wanted to scrap the Zombie Island idea and put the company’s much more nefarious Doomsday zombie reveal plan in motion instead. Carey is essentially the boogeyman behind every big thing throughout the season, including the release of the Aleutian flu virus, to tainting the vaccination supply so much of Seattle was infected by the zombie virus, to blowing up Vivian’s plane, to Wally and Anna’s murder, to setting up Harley Johns for Wally’s murder (and maybe even giving him what he needed to blow up the zombie party, that part was unclear). This is a lot of weight to put on a character we literally know nothing about, and it’s that awkwardness that outlines the inelegance of season three’s overall plot. This inelegance is made all the more surprising because we have plenty of evidence of just how satisfying a Rob Thomas big bad plot reveal can be. The other frustration in the finale is something born of necessity: All the emotional moments go by way too quickly. Liv barely gets a chance to worry about Major and Justin being potentially blown up before she’s forced to confess to Justin about how she slept with Chase (and her insistence that the brains made her do it is an essay-length analysis for another time). Major barely gets a chance to be sad about Natalie and his friends before asking Chase to turn him back into a zombie again so he can fight in their memory. Dale barely gets a chance to react to the reveal that there are zombies in Seattle before she’s turned into one and dyeing her hair in distress. There are so many valid emotional moments here, and a few seconds here or there to let them sink in would have been helpful. Despite the scattered pacing of the overall season arc, and despite the somewhat disappointing lack of time for the characters’ emotional beats to land in this episode, I was mostly on board with the finale—right up until the point that the big zombie secret was revealed to the public in the last act. The reveal at this point is inevitable—there’s really no feasible way to walk back thousands of people in Seattle becoming zombies, and there’s no way that could stay a secret for long—and it’s not the idea of a mass reveal that’s the issue, but the way this reveal highlights the specific weaknesses of the season three story. The idea that there is now a significant population of zombies in a major American city and the whole world knows about it? That’s a huge idea, and one that ultimately seems a bit too big in scope to feel satisfying, especially within the confines of the way iZombie tells stories. Take the reveal itself. It was done by a local news anchor, and the follow-up instructions to the public were given by Chase Graves as a representative of Fillmore Graves. This makes sense for the show, because we know both these characters and this world. But the city of Seattle exists in the contemporary United States (or at least some simulation of it) so the idea that a military contractor is essentially calling the shots, taking over the distribution of brains, and resolving armed conflicts with civilians without any nod to the actual government of the country is just weird. Even a zombie mayor wouldn’t be enough to avoid interference from the highest levels of government in such a situation. The obvious argument here is that the last act is essentially done as a giant montage, showing vignettes of what happens to the city post-reveal, so there’s really no room for a broader picture. But all that does is draw a laser focus onto the main fallibility of the entire season three zombies vs. humans arc, by showing that it was always just a bit bigger than the kind of stories iZombie tells best. Every time things got confusing with the plot in the past seasons, there were always very specific character stories to latch onto to mitigate any plot concerns. Beyond trying to pull off something with this scope, what felt awkward as the zombie vs. human story progressed was just how little emotional involvement it felt like Liv had in the story. Throughout season three as a whole, Liv’s internal life was mostly shuttled to the background to make room for all the other stories the show wanted to tell, and while that’s certainly a valid choice, removing that aspect of the show didn’t really work for the season arc in the long run. This does leave the show in a very interesting place for season four, since the writers now have the ability to make a choice about how to tell this story going forward. Now that the proverbial cat is out of the bag, do they dig in and go broad with the implications of their new world order? Or do they keep the particulars in the background and continue telling stories on a smaller scale? iZombie’s real narrative sweet spot is what it did in its first two seasons, finding a way to balance larger, more heavily-plotted story arcs with specific emotional character beats. Season three’s ambition to expand beyond that scope was an admirable one that was frequently fun and exciting, but in the end couldn’t quite pack the finale punch of its first two seasons. If season four can find a way to balance this bigger zombie story with the more character-driven plot that was missing for much of season three, that would be just about perfect. So, did we never learn who actually stole the cure, did we? Or did I forget amidst the onslaught of plot? Random scene that feels like it might be important later or weird misdirection: Blaine tries to set himself up as Fillmore Graves’ brain supplier, but Chase passes—and during the scene, Major is careful to not let Chase know that he knows Blaine. I still can’t figure this one out. Peyton as Mayor Baracus’ Chief of Staff feels right, and I like that it ties her to the zombie stories without saddling her to what Clive and Liv are doing with their cases. I really want Peyton to get a good story in season four. This finale’s ‘80s music selection is “Dear God” by XTC! Prompted by Liv’s “Dear God” line of dialogue! Very enjoyable, even if the chase it scored wasn’t all that exciting. It’s very satisfying when the show takes little things and makes them extremely important later, like how Clive being overly concerned about flu germs in the previous episode’s interrogation scenes sets up him being in line with Dale to take the vaccine. Other little thing I loved: the choreographer brain-assisted group dance at The Scratching Post, complete with Don E’s delight and Blaine’s disgust over the whole thing. The writers are so, so good at these moments. Zombie Johnny Frost feels right. Chakrabarti helicopter, Rob Thomas. Make it happen.